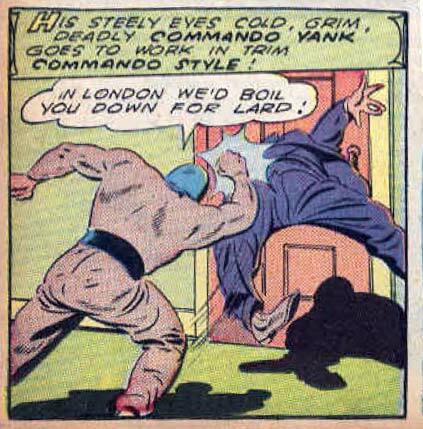 Trim Commando Style is a great band name. Well if you’re gonna go commando you’d better keep trimmed. No wonder they end up with Stonehenge teeth. Well, it’s a good thing you’re not in London. It’s hard to keep your trim commando style when you’re eating so much lard. Errr…MMI (4): I’m regretting that comment. It’s OK Myro. We are still technically part of the monarchy and the way I see it its kind of like making fun of ourselves. Hannibal Lecter, sorry I can’t spell worth a darn! Lucky thing I most of the time cook by myself… At least then I know more or less well WHAT am I eating. Frevoli (12) British teeth are indeed just fine. My wife in fact is British (well half actually, the other half being German). No teeth problems there. I never even heard the reference till a couple days ago when I noted that if you shrink the new Stonehenge background down a whole lot, it could work for a set of nasty teeth. Incidentally my ex wife was also British; never thought about it before but maybe its a thing with me. By the way, fish and chips, good stuff. If I recall correctly we got that cuisine from the British so their taste in food can’t be all that bad can it. There’s a reason why it’s called “Yankee” not “British” pot roast.